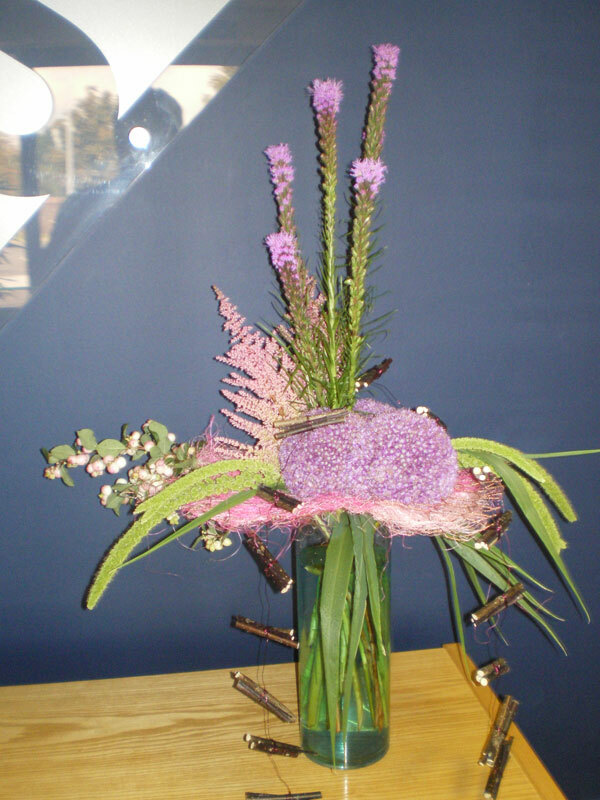 Our florists choice of flowers arranged in a modern style in matching cylindrical vase. Actual flower varieties may vary with season. Vase may vary from picture shown but every effort will be made to substitute with a similar style.